The Iran-Iraq War created turmoil in the Persian Gulf as the combatants attacked civilian oil tankers, merchant ships, and other foreign vessels in the area. This resulted in several conflicts between Iranian and American ships. In May 1987, the Iraqi Air Force killed 37 American sailors on board USS Stark, an American Navy frigate. Another frigate, the USS Samuel B. Roberts, sustained severe damage after striking an Iran sea mine in 1988. The United States responded with Operation Praying Mantis, in which the U.S. sunk an Iranian frigate. 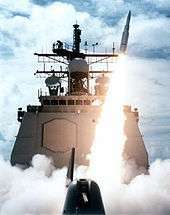 The U.S. Navy subsequently offered protection to all friendly neutral shipping in the Persian Gulf, sending several guided missile cruisers throughout the area. 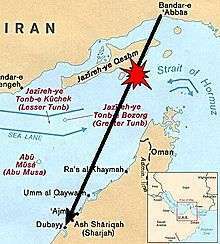 On July 3, 1988, one such cruiser, the USS Vincennes, shot down an Iran Air civilian passenger plane, Iran Air Flight 655. IR655 was flying from Bandar Abbas to Dubai on a half-hour trip across the Persian Gulf. 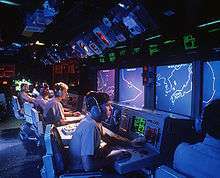 While pursuing Iranian gunboats through the Strait of Hormuz, in Iranian territorial waters, the operators misinterpreted the plane’s signals as those of an F-14A Tomcat preparing to attack. IR655 failed to respond to multiple radio challenges, although it had previously been transmitting the correct civilian “squawk” code. USS Vincennes exploded the airliner with two surface-to-air missiles, killing all 290 people on board. The vast majority of the passengers were Iranian. The Pentagon released an official report by Admiral William Fogarty on August 19th. It concluded that the plane had been squawking on the civilian channel, not the military channel as officials had believed, but the operators acted appropriately due to the plane’s failure to respond to radio challenges and the confusion of the situation. The Iranian government condemned the attack and claimed the Americans, at a minimum, acted negligently in shooting it down. Speaking before the United Nations Security Council, Foreign Minister Ali Akbar Velayati called the incident a “criminal act” and a “massacre.” Vice President George H. W. Bush represented the U.S. at the Security Council and defended the action as appropriate to the circumstances. Ultimately, the members of the Security Council expressed regret for the loss of life and stressed the need to resolve the Iran-Iraq War. The incident was brought to the International Court of Justice eight years later, in 1996. Although the United States never apologized and did not accept legal liability, it reached a settlement with Iran. In addition to expressing “deep regret over the loss of lives caused by the incident,” the US agreed to pay $131.8 million in compensation to the Iranian government, including $61.8 million to the families of the victims. Ambassador Frank Charles Carlucci III served as Secretary of Defense from 1987-1989. Ambassador Phyllis E. Oakley was the State Department’s Deputy Spokesperson from 1986-1989. John A. Buche served in the State Department Bureau of International Organizations from 1987-1989. All were interviewed by Charles Stuart Kennedy beginning in April 1997, March 2000, and August 1999 respectively. You can read about the USSR’s shoot-down of the Korean Airlines flight 007. By that time we discovered that it was really an airliner and he notified Colin Powell and I notified the President. One of the things you obviously have to do is go out and tell the press. Bill Crowe immediately volunteered to do that. We all know that initial reports are never accurate and the press takes them as accurate no matter how many times you say they are not going to be accurate. We always get castigated if those reports differ from subsequent reports. That, of course, happened in this case. I probably should have done the press conferences. I cite that as an example of Bill Crowe’s willingness to step forward and take the heat…. Q: It has often been expressed we didn’t make immediate compensation or something to that effect. CARLUCCI: Well, we did apologize and I think we did offer fair compensation to the families of those on that plane. I’m pretty sure we did. I’m speaking from memory. I, of course, appointed a Board of Inquiry and spent a lot of time going over the report. In fact, Bill Crowe and I flew to Patuxent Naval Air Station where we had a mock-up of the Vincennes. He and I reenacted the whole thing. We had people playing the roles of the different participants based on the reports so that we could put ourselves in the mindset of the Captain and the crew members and the state of confusion or semi-confusion that always exists in battle. We concluded that the judgment that the Captain made, the Captain of the Vincennes, was not an unreasonable judgment. He was under attack. You could actually hear the bullets hitting the ship. He didn’t have a lot of time to make the decision and when he did, it was terribly unfortunate, of course. But he did warn the aircraft many times. The aircraft was not squawking a civilian indicator at the time, and there were no other indications that it was a civilian aircraft. OAKLEY: I used to laugh, in sorrow, because it seemed to me that when there were tragedies or disasters it was always my turn to be on the podium. The first one I handled was when we – or the U.S. Navy – shot down the Iranian airbus over the Persian Gulf. I had to face the horde of reporters, TV cameras, and audio equipment with two sentences of guidance, the essence of which was that we didn’t know what had happened. This happened more often than not; I would have very little guidance from which to answer questions for 45 minutes. We would, of course, express sympathies for the victims and their families and express our concern about the incident. But there wasn’t much more that anyone could say…. Q: I would think that sometime even regrets might be difficult to utter such as in the case of the Iranian plane that we shot down by accident. Over time, I think the conclusion emerged that we had not been careful enough in determining what and whose plane was in the sky. We didn’t expect a passenger craft to be in that area and therefore were probably not prudent enough before shooting. I had heard some of this speculation, but it was not something that I could say publicly. But I did regret the incident and expressed sympathy for the victims and their families. BUCHE: I turned on my TV in the morning of July 3, 1988, to see the men’s finals at Wimbledon. On the screen, however, was the Chairman of the Joint Chiefs, Admiral Crowe. He was explaining how a U.S. Navy destroyer, the USS Vincennes, in the Persian Gulf had mistakenly shot down an Iran Air Boeing [Flight IR 655] with 290 persons aboard, killing them all. Since the International Civil Aviation Authority (ICAO) had jurisdiction in such cases, I realized I would be heavily involved in the crisis. The Pentagon immediately ordered a full investigation of the incident. The ICAO Council President convoked an extraordinary session at the request of Iran. The issue was put on the agenda of the UN Security Council. The USG [United States Government] was in full damage-control mode. The Department of State had the lead, and IO [International Organizations] was the lead Bureau. We did research on the ICAO rules and precedents. We resurrected the files on the Soviet shoot-down of the Korean Air 007 in 1983. The Iranians and the Soviets were playing much of our own rhetoric back to us. We plotted a strategy: in essence, admit our mistake, express regrets, offer compensation, and avoid a formal condemnation. Our plan was accepted within the USG, although there was some reluctance on the part of DOD [Department of Defense] pending the completion of the formal investigation. We argued we had to take the high road at the very beginning to avoid a nasty condemnation and linkage with the KAL 007 catastrophe. We could not wait for the formal investigation hoping to show some technical errors on the part of the Iranians. The Pentagon investigation (the Fogarty Report) turned out to be more damning of the Vincennes’ actions than the original version of the incident. [Assistant Secretary of State] Rich Williamson represented the USG at the ICAO session, while Vice President Bush spoke for the U.S. at the Security Council. Williamson’s approach was that of an attorney trying to make the best case from a weak brief, and thus he emphasized our own investigation of the case, our offer of compensation, and the imposition of improved procedures to avoid similar incidents in the future. We fared pretty well at the ICAO session and were able to buy time for additional investigations and subsequent meetings. Vice President Bush took a different tack at the Security Council. While expressing regret over the IR 655 incident, Bush lambasted Iran for a series of actions, including the hostages. Bush was running for the Presidency, so he scrapped our draft text and had his political writers prepare a speech aimed for the American voters rather than the delegates at the UNSC. Iran was still relatively isolated in the diplomatic world because of the hostages and ongoing revolutionary actions, so there was a reluctance by other states to go beyond pro-forma support. The Soviets were not about to risk the new relationship with the U.S. by going overboard in support of Iran on the IR 655 issue. My office worked closely with the Office of Civil Aviation and the Legal Adviser in State, with DOD, and the Department of Transportation to write briefing papers, talking points, and instruction cables to our delegation in Montreal for the series of hearings, investigations, and meetings at ICAO over many months. In March 1989, the ICAO Council culminated the process by passing a resolution that was a compromise. The Council “deeply deplored the tragic incident”, but did not condemn the U.S. since the shoot-down was the result of errors. The Secretary was pleased with the outcome and commended Rich Williamson. Rich, in turn, praised DAS [Deputy Assistant Secretary] Sandy Vogelgesang, Neil Boyer, my principal deputy, and myself. Several months later, I received the Department’s Superior Honor Award for my handling of the IR 655 crisis.